The hull construction is made of longitudinal structure in mahogany khaya and okoumè for deck and interiors. 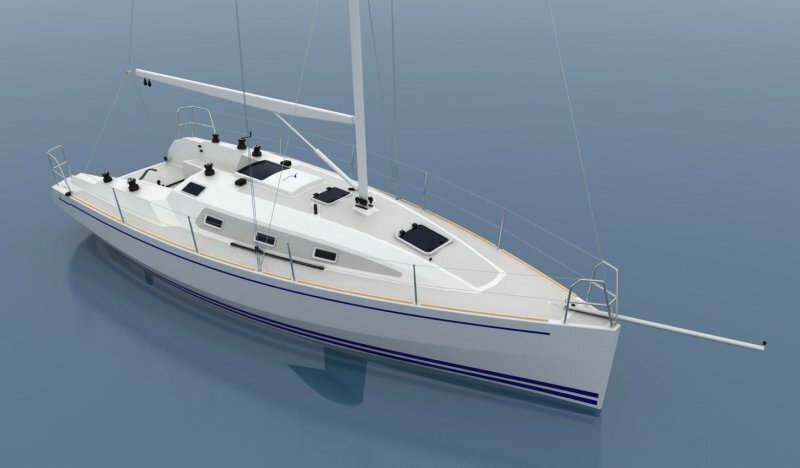 The hull geometry, the taut water lines and the average displacement place the “Start 100” in the Cruiser/Racer boats. 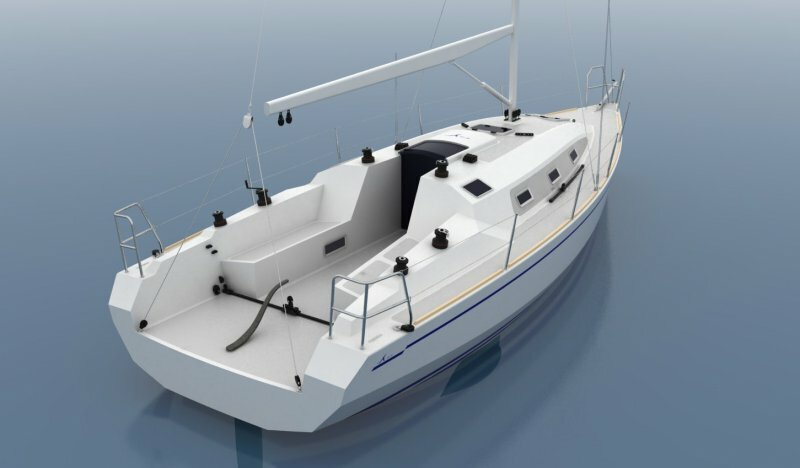 The generous sail plan is opposed to a stainless steel torpedo of 1500 kg weight with the end of 1350kg in smelting lead. The design of the deck is set with usual canons of 40 ft giving an idea of the breadth and livability higher than expected. 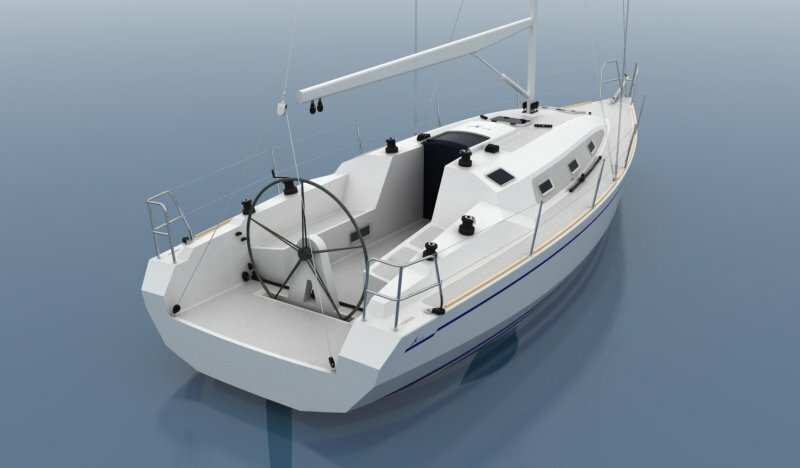 The mainsheet is prior to the wheelhouse and divides the cockpit in two distinct areas dedicated to the skipper and crew. The large diameter steering wheel with skipper seats at side allows to have a free vision of the sails. The open cockpit is closed by a movable seat of about 2.30x0.40m that becomes a convenient bridge to go down. The sail plan is split with the neighborhood of the spreaders backlog of 20°. All lines are led back to cockpit. The very large main sail as opposed to a relatively small genoa for easy handling. The gennaker is fixed to a retractable bowsprit that is stepped on the deck and extended from bow to 1.5m. The interior with double modularity offer hospitality to 6 + 2 crew in both versions with an interior height greater than 1.90m.